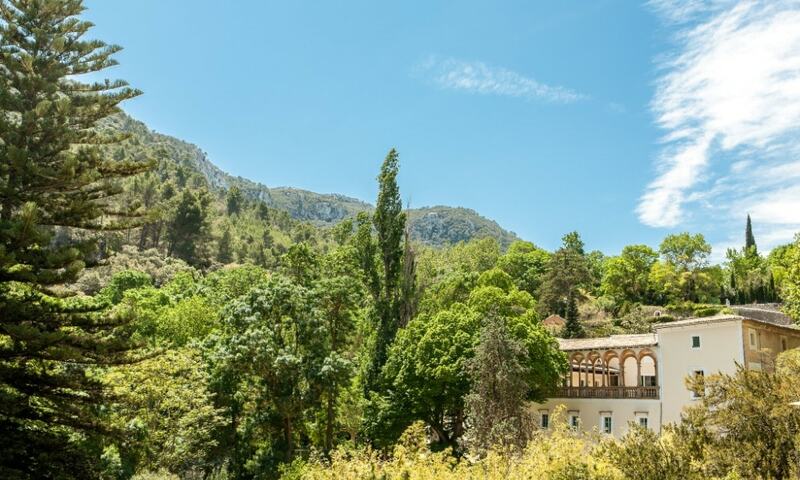 The beautiful and peaceful village of Esporles, population centre of the municipality of the same name, sits at the foothills of the Sierra Tramuntana mountain range, right in the middle of the untouched nature. Esporles property enjoys the luxury of rural tranquility. Situated in the idyllic and calm countryside, the residential area provides total privacy. It is a great location for those who prefer to be away from the busy tourist centres, yet still a short driving distance from the centre of all activities. Properties available in and around Esporles include a variety of traditional country fincas, luxury villas and impressive Mallorquin mansions. Many homes offer spectacular mountain views. Prices on Esporles property market are significantly below the average in surrounding areas of Palma. The average price for an apartment here is Average price per sqm. 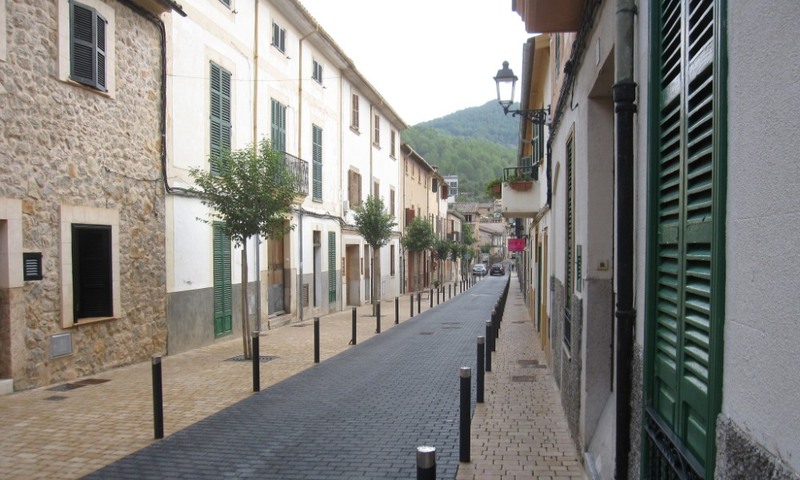 in Esporlas €2,529 0% properties#: 8 last change on: 23 Apr 2019 €2,529 per square meter and the price for a house hovers around Average price per sqm. in Esporlas €3,047 0% properties#: 97 last change on: 23 Apr 2019 €3,047 per square meter. There is a premium value for a sea-view location for a house in Esporles, raising the price. Investment opportunities are on average Average price per sqm. in Esporlas €5,707 0% properties#: 4 last change on: 23 Apr 2019 €5,707 per square meter. The most renowned real estate agencies on Esporles property market with the widest selection of listings are Porta Mallorquina, Nova and Kensington International. The town enjoys good access to the network of motorways and major amenities. It is only twenty minutes’ drive from the city of Palma and up to fifteen minutes’ drive from major supermarkets, several shopping centres and the cinema. There are high quality local schools, and it is also very close to the only University in the Balearics as well as the science and technology hub Parc Bit, where Microsoft hosts an innovation centre. This quaint town maintains much of its authentic charm with cosy winding streets flanked by traditional stone-faced houses. It is a lovely place to stop off for a coffee in the pleasant main street cafés. There is also a stream with various small bridges that run through the village. As usual in Mallorca, the village’s Gothic church is the dominating architectural feature. It is devoted to Sant Crist de la Pois, patron saint of the textile industry. Today it is extinct but was prosperous until the mid-nineteenth century. There are many spots to eat in Esporles. Various local restaurants and bars are easily found in the village’s centre. Plus, within easy distance, there is a wide range of well-established country restaurants. Residents benefit from the availability of the best produce in the local farms. Also, every Saturday morning, there is a friendly market with a large assortment of organic products on offer. The nearest sea point from Esporles is the idyllic mini harbour of Port des Canonge, located approximately eight kilometres away from the village centre. This picturesque coastal area is very clean with crystalline waters and incredible views and is mostly frequented by locals. The cove also has a small pier for mooring of the residents’ boats. You’ll find two restaurants in a close proximity, Can Toni Moreno and Can Mado. The sandy beaches of Palma can be reached in about a thirty minutes’ drive. 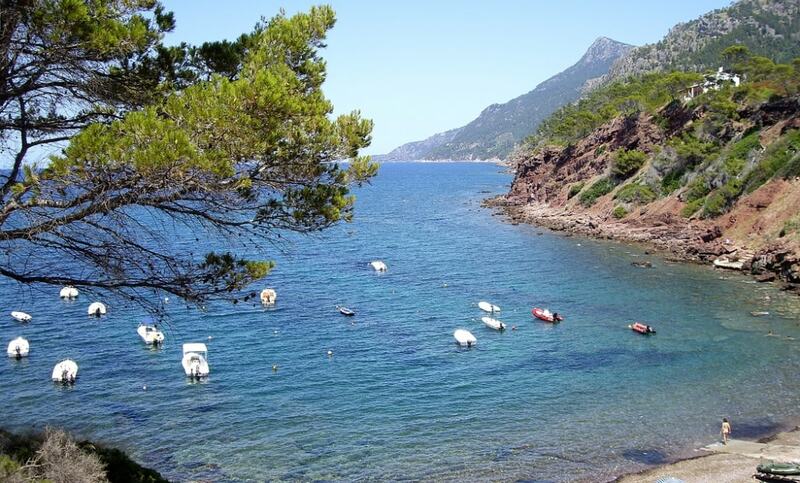 The nearest large port facilities are found at Port de Sóller, at 9.1 nautical miles. The most famous attraction around the town is the historic manor house and museum of La Granja, dating back to the Roman times. This large mansion has different halls, dining rooms and bedrooms open to visit. Also, it is surrounded by beautiful gardens with fountains, giant trees and ponds. Here, you will find displays of ancient handicraft, dance performances and tasting of Mallorcan specialities. The town of Esporles is wonderfully located in the hills. The surrounding landscape is also famous for its extensive oaks forests, as well as orange groves and almond trees. 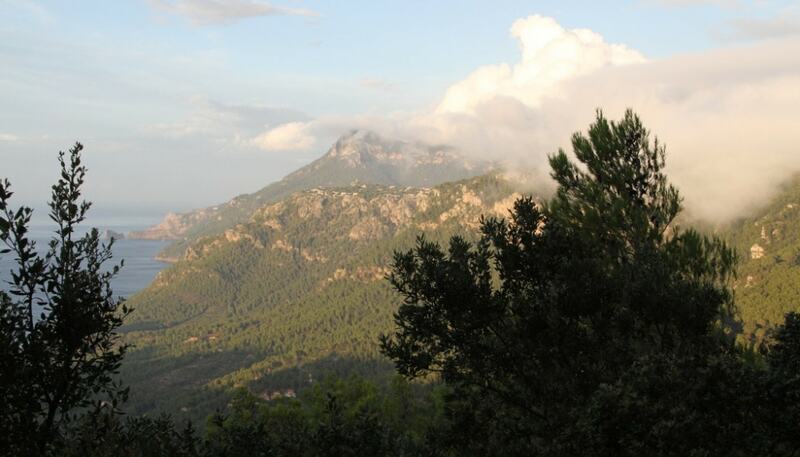 It is an ideal area for walking as it is enclosed by stunning nature and amazing hiking routes. For example, in the outskirts of the town, a path leads up to the Hermitage of Maristella, where you can enjoy splendid views of the valley. For golf lovers, the nearest golf facilities are just nine kilometres away at Golf de Son Termens that is well-known for its excellent facilities and picturesque hillside location. 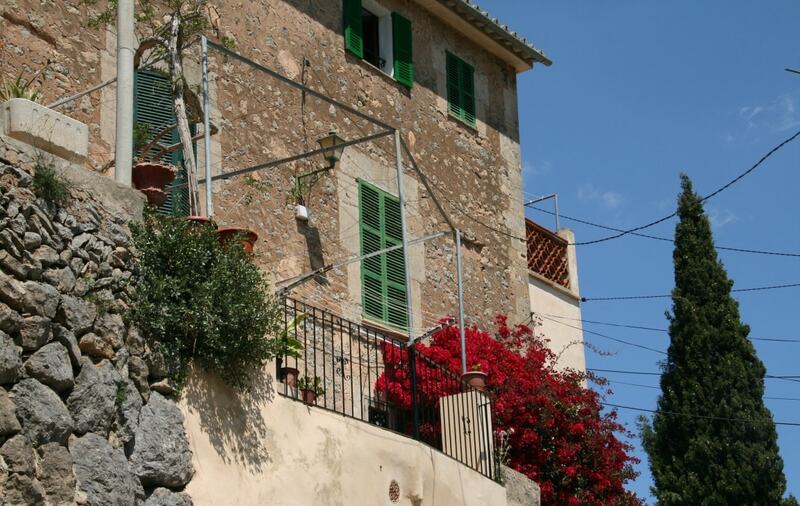 Esporles is also a perfect base to explore many mountain villages of the Tramuntana range, such as Valldemossa, Banyalbufar and Puigpunyent. As to the festivities, the most important is the fiesta of Saint Peter, Patron of Esporles, held every year on June 23-30. It features various traditional events, including the street decoration competition, fireworks, and tasting of local dishes. In October, there is also an annual food festival named Fira dolça that celebrates the best pastry products in Mallorca.